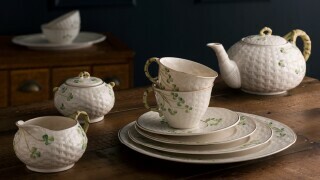 The Belleek Claddagh Collection is inspired by the history of the Claddagh which goes back over 400 years when a Spanish goldsmith fell in love with a girl from the Claddagh village. He crafted the first Claddagh ring for her. Since then the Claddagh ring has become a token of love throughout the world. Its symbols of a heart under a crown held by hands represent love, friendship and loyalty. 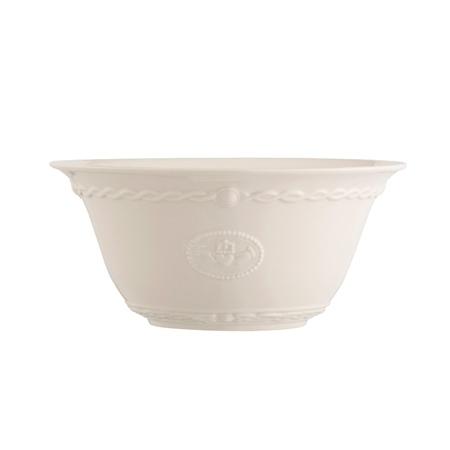 Show how much you care by serving a scrumptious salad in this Claddagh Serving Bowl. This Claddagh serving bowl is the perfect companion to the other serving pieces in my collection, and not all are of the Claddagh design but all work beautifully together. 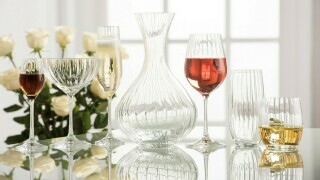 I am proud to serve my guests using Belleek China! 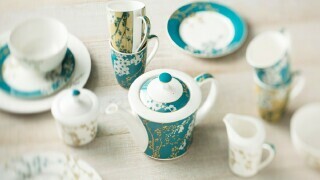 Really lovely dinnerware I ended up getting the whole set and am really glad I did. Would recommend this set to anyone.